Gearbox just confirmed BL3 a few hours ago. As someone who enjoyed all of the games (1,2, Pre-Sequel, and Tales from the Borderlands) I’m curious how they’ll change up the formula. I really hope the slam attacks and laser/ice weapons from Pre-Sequel come back for this one, those were interesting ideas that could greatly be expanded on for this game. I didn’t play the pre-sequel, just because of a combination of burnout and other things going on, but I loved both Borderlands and Borderlands 2. Looking forward to this. It’s a testament to how well the art style worked in the earlier games that this version doesn’t look all that much prettier. But I’m definitely ready to get back to Pandora. Thing that caught my attention the most was the new siren girl. Sure she has siren powers, but she’s also super buff and her power manifests as more fists. She looks like Azura when she activates them and it’s pretty sick. I think we’re going to get a Siren-Zerker hybrid class in this one, which sounds absolutely badass. The good news is that Borderlands 1 Remastered launches today, and Steam users who have the original version get the remaster for free. The bad news is related to the PC version of Borderlands 3. For those who don’t know, 2K Games (the publisher of Borderlands) has made a bunch of their games 1-year timed exclusives to the Epic Games Store (including The Outer Worlds, the RPG made by Obsidian), and there is a bunch of buzz on the internet saying the same will happen to BL3. This won’t affect console owners of course, but it’s a shame that the “console war” mentality has bled in so badly to the PC side of things. If this does happen I can see a lot of negativity hitting Borderlands 3 for no good reason, especially with how the Epic Store is currently lacking in features and data security (like when millions of people got their info stolen because of holes in Fortnite’s code some time back). Is it really getting as bad as console wars? It’s not hard to download and use another client on PC, though I can see the issue if people don’t want to put any information on a service with less reliable security. Anyway, I’m glad this is coming much sooner than later. I was a little worried that we didn’t have even get a release window at the reveal panel. Having Borderlands back is going to be very refreshing in the current landscape of loot shooters. It’s more of the issue that a bunch of games that were supposed to be on Steam just suddenly became Epic Store timed exclusives at the last moment (which was especially bad with Metro Exodus, Outer Worlds, and Phoenix Point). Normally you see this stuff on consoles, so some people are treating it as “Platform Wars” where they see Epic trying to strong-arm their way into the market. However other people (myself included) are just worried about the aforementioned security issues, or bothered by lacking features compared to Steam and GoG. I am personally getting BL3 on XB1 since I no longer have a good computer for the newest games, but I’ve already seen PC users refusing to bother with BL3 because of this recent news. Though it should be noted Randy Pitchford himself already confirmed on Twitter this was the decision of 2K/Take Two Interactive, so we at least we know Gearbox had nothing to do with this (unlike with Phoenix Point where it was the dev’s fault). Also yes, having a September release date of this year was great to hear. I thought we would have to wait until early 2020 at least. Yeah, Borderlands 3 is a game I’m interested in, but not on the Epic store. I’ll wait for it to come to Steam. It’s not so much the inconvenience of opening yet another launcher with yet another account and splitting my games library up (although that certainly has crossed my mind), it’s the fact that I don’t trust Epic or their launcher. Epic has a pretty long history of being dodgy with security, and people have already found that the Epic launcher collects data on other programs installed on your hard drive without your permission. Couple that with the fact that Tencent owns a large percentage of Epic and I don’t trust them as far as I can throw them. It also doesn’t help that their launcher is so anemic that it can barely compete with Steam 15 years ago on features, let alone the Steam of today. Competition in the PC space is fine, but the way Epic is going about it is really underhanded (launch a bad product with bad customer service on a business model that isn’t long-term sustainable, just because they have a windfall at the moment) and I don’t really want to be involved. Epic Games is without a doubt trying to strong-arm. There’s probably no other way to break into this market as something that can seriously compete with Steam, which is still to this day miles above everything else. Just in itself, and regardless of the sudden and clumsy nature of some of these initial deals, I get that it’s inconvenient but it’s still very mild compared to what console exclusives entail. It’ll be interesting to see where EGS ends up a year from now. IIRC they’ve got a roadmap with timeframes concerning when many of its currently lacking features will land. Security & Privacy is another issue entirely, and one I hope is a priority for them for everyones’ sake. last game i played was borderlands 2, i used the technomancer. pretty fun class, but the game got old really quick for me. 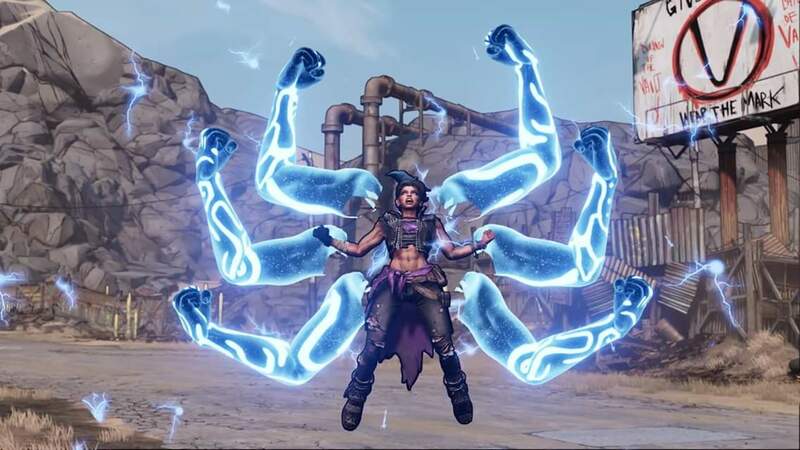 Main reason I’m waiting until the Steam Release for Borderlands 3? The Borderlands games tend to give you bonuses stuff if you own the previous games in the series on the same platform. Not gonna miss out on potential free stuff for playing games I already own! Plus, 6 months down the line the game will probably be a tad cheaper. Well I meant try as in they probably thought no one would notice. Well either way, everyone’s on their backs now since they’re treating the industry as “Pay to Win” in the worst way possible. I guess they weren’t willing to play the long game like GoG was. What bonuses were those? Extra weapons or skins? I don’t remember that at all. Some decent starting weapons and class mods generally, plus extra Badass Points. I know in Borderlands 2 the Firecracker grenade you got from playing Borderlands 1 is so good that I haven’t had a reason to take it off yet in my last playthrough. One thing I hope they do is give the characters more abilities. Playing these games today it becomes apparent how games like Destiny and Warframe have evolved on that front. I mean, in the Borderlands games you basically just get one action skill and its augmentations, plus a bunch of activated and passive buffs via the skill trees and that’s about it. There’s still some interesting gameplay and build variety there, but I don’t think it’d hold up too well today.